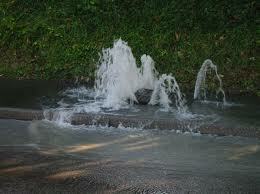 Water leaks are the biggest cause of water wastage. Responsible use of water is something we are all reminded about frequently, particularly in this ‘age of austerity’ and at a time when green issues are at the forefront of almost every political agenda. However, it can be frustrating for customers, who pay increasing prices and still ensure they are conscientious with their water usage, to see that the main culprit for wasted water can often be the water companies themselves. And this is due to one major problem – leaks. A report in Leicester highlighted that Severn Trent loses 497 million litres of water per day in leaks. By comparison, an individual uses only 150 litres of water a day on average. It is leakage on an epic scale but the problem is not easily solved because there is so much that can go wrong, a vast underground network of pipes, lots of which are many years old. And this isn’t just the case in Leicester. Across much of the UK, old pipe systems and difficulty arranging maintenance works or simply not having the budget to fix them means that billions of litres of water each day are simply thrown away. Leaks being reported but not fixed for days is a common complaint from people who are tired of this problem. Drinking Water Fountains are an environmentally considerate company and we are confident that our customers are the same. We hope that a solution can be found to this disastrous problem, and soon.